New Zealanders and tourists alike are particularly fond of camping in New Zealand and the country welcomes travellers and road trippers with open arms and smiles. 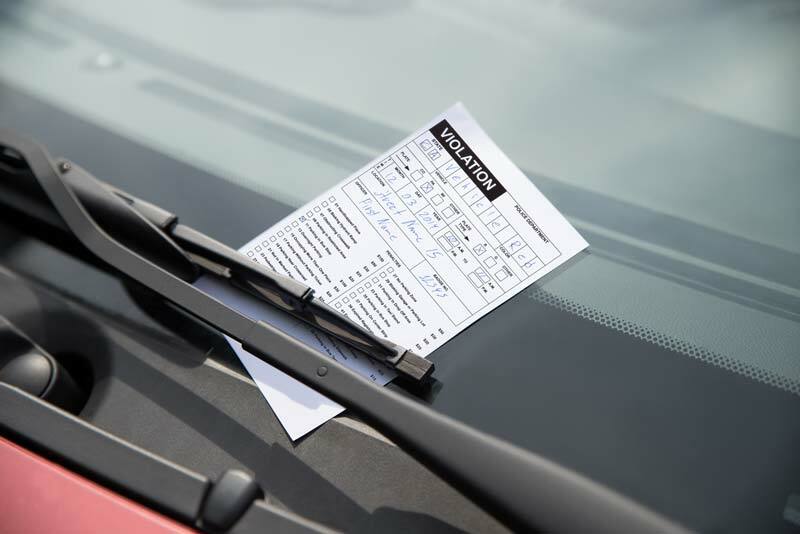 But before you hire your campervan and drive off in to the woods, you might just want to know just a few of the rules that NZ has to avoid fines and angry locals knocking on your window at all hours. Freedom camping in New Zealand, also referred to as free camping or in the US as boondocking; is where road-trippers and campers set up overnight in public places which are not identified as camp grounds or holiday parks. Free campers are usually restricted in the facilities they have access to, for example, lack of water, toilets, and cooking facilities. Here in New Zealand, there are roughly 340 free campsites to explore. Just like the name implies, free camping is mostly free, coming at the most affordable rate to campers on a very low budget. All most campers need for a comfortable tour is a self-contained campervan. There are a plethora of designated campgrounds in New Zealand, mostly at affordable prices, but more and more campers prefer the practice of free camping for its low costs and additional choice of where to stop for the night. 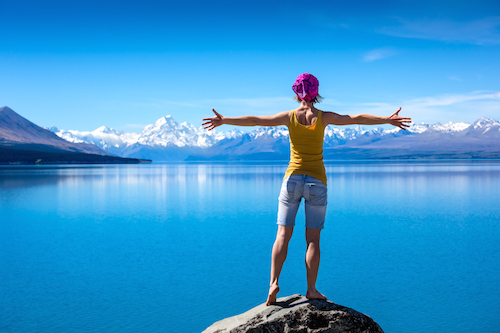 Before we look at the focal point of this article, let’s briefly examine the advantages and disadvantages of freedom camping in New Zealand. It is a handy option if you wish to explore captivating places in NZ without camping facilities. Freedom camping helps save cost — the cost of paying for campsites, holiday parks, and other holiday-making other expenses. It offers you an amazing opportunity to make use of picnic areas, laybys, and extremely remote destinations. Freedom campers could be at risk of hostile treatment from some local residents. Some freedom campers engage in activities that are not eco-friendly such as indiscriminate waste disposal, etc. Freedom camping in New Zealand is only restricted to certain areas in the country and violating this rule attracts a hefty fine. There are many great spots you can freedom camp in New Zealand. The Department of Conservation, DOC, has designated more than 200 locations as campsites, about 50 of which are free camps, another term for freedom camps. You can view a comprehensive list of the conservation brochure here. In the brochure, you’ll find that some areas are accessible to campervans while others aren’t due to being either too steep or too narrow. 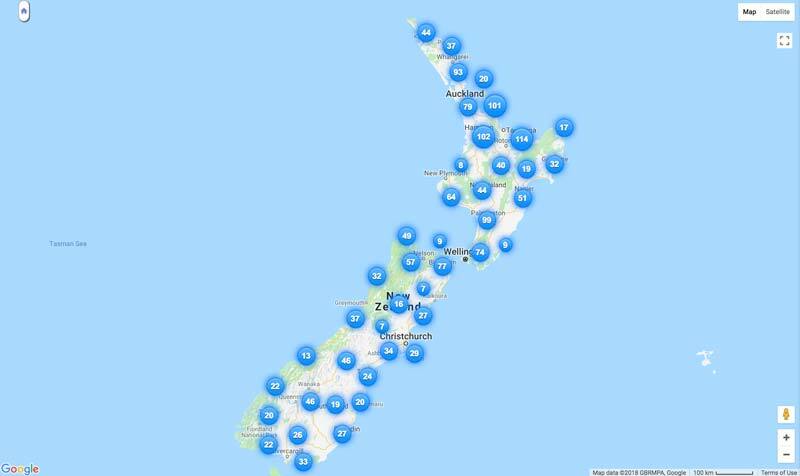 You’ll also find this map useful for determining NZ’s free and legal camping locations, read reviews, view photos and get particular details of any camping area of interest. Better still, download and install the official NZ Free Camping app here for Android and here for iOS. 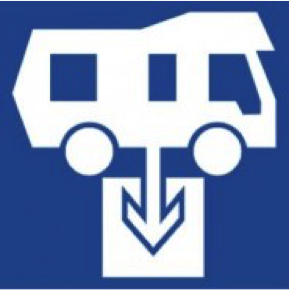 You’ll also find the Camper Mate App handy for the times you’ll be travelling through unfamiliar territory, the app takes stress off of you by letting you know everything you need to be informed about when travelling in a campervan; from fuelling stations to dump stations where you get to offload waste and rubbish. Freedom camping is allowed in many places here in NZ, but the rules differ by district. Some districts do not allow freedom camping anywhere near 1km of the town, some will only allow your campervan to stay in a car park for one night. It might also benefit you to know that the set of rules you have to follow at the district level will be most likely different from that of the Department of Conservation PCL (Public Conservation Land) rules. To play it safe, be sure to check out the information repositories on the i-Site visitor centre, a DOC visitor centre, and a district council office. To take it up a notch, you should be on the lookout for signs like this - the NO CAMPING sign. They’ll keep you in the know about where you can and can’t freedom camp.It is an indicator that overnight freedom camping is forbidden at locations carrying this sign including in the campervan. Yes staying overnight fits in to the general term of "camping". Also, to camp overnight as a freedom camper, your vehicle has to be certified self-contained and will generally bear the blue insignia you see here.Freedom camping is generally allowed on public conservation land, but there are areas where it is unequivocally forbidden to self- contained vehicles, and this will usually be specified by signage. Places like that could be of cultural value, such as Maori burial grounds (Urupa). It could also be a territory for threatened plants and animals, or perhaps such locations have a known history of improper freedom camping, so it is best to avoid such locations. Using the map and app stipulated above will help you with further clarification on where to camp freely or not. It is also pertinent to note here that the Freedom Camping Act 2011 does not apply to rural areas that are scantly inhabited. Why Is Certified Self-Contained Important? With a fully certified self-contained campervan, you are free to camp in holiday parks, sites managed by the DOC, and at specified camping sites with or without toilets. Certified self-contained campers bear a sticker on the left-hand side of the vehicle’s windscreen like the one shown above. These vehicles carry a certification - NZS 5466: 2001 - which shows that they can hold water that would last for up to 3 days and tanks large enough to hold all the greywater and blackwater (sewage) created in the same 3 days. 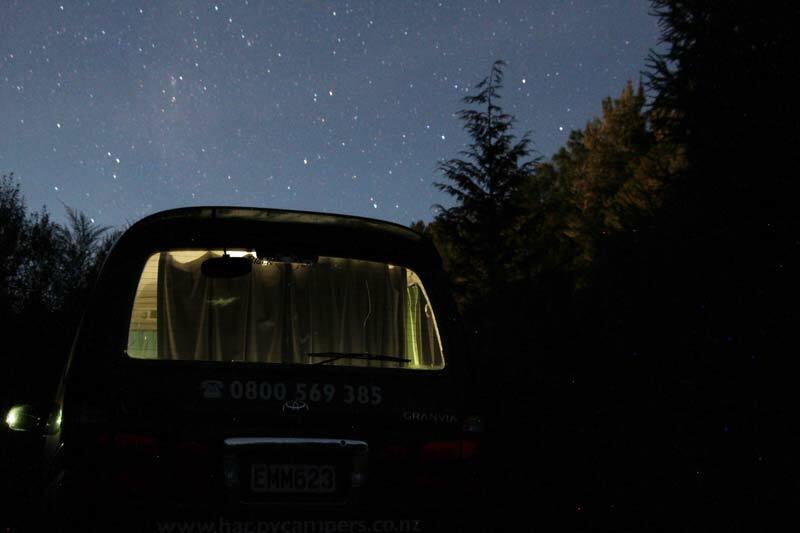 Ensure to hire a rental service campervan from a trusted dealer in New Zealand, if you do not own one. Before setting up, pick a site that is easily accessible to facilities like toilets and showers if your campervan is not self-contained. Be sure of where you park your campervan, stay away from busy areas with traffic, and ensure your safety. Always secure all locks around your camping vehicle. Keep the environment in mind. Minimize your use of fires as they are a potential safety risk. Instead, use stoves. Keep an appropriate distance from water sources when you wash or dispose of waste material. Switch off electrical equipment when not in use. Don’t bath with soap and water in NZ’s natural water bodies. It is not accepted because it can harm marine life. Use biodegradable materials and wash in a container that’s far away from the water body. Be mindful of the water you use, boil it or treat with chemicals to sterilize. Always keep the environment in mind, minimize the litter you leave behind and ensure to dispose properly or make use of recycling facilities. The DOC has released a general guideline on disposing of human waste products. The golden rule of NZ camping is to “leave no trace of your visit” including human waste and rubbish of all kinds. Please don’t pollute the bush. Be on the lookout for the blue Dump Station sign. You will usually find many dump stations at service or petrol stations as you travel throughout the country. Try to make effective use of them. Also, the camping apps and some campervan company website app can help you locate dump stations. You can also check out this Ministry of Tourism resource for a list of all the dumping stations throughout NZ. While situations, where toilets are not provided on DOC land and other camping sites, are rare, please follow these guidelines if you ever find yourself without a toilet facility while camping in NZ. You should also know about the concepts of greywater and black water in campervan camping. Greywater refers to the water waste collected from sinks, it could be bath water, dishwashing water, and the likes. Some dump stations restrict their dump collection to greywater only while the rest take both Greywater and Blackwater. In Taranaki for instance, two public dump stations restrict their dump collection to greywater only. Blackwater refers to sewage waste. Your campervan should be fitted with a holding facility for both Greywater and Black Water. If your campervan does not have a facility for holding Greywater, you can use a bucket to collect it and then channel it into a gallon with sufficient capacity, store it carefully and dispose it alongside the Blackwater at a dump station. Please, do not spill on the road or on into water bodies. Check out this video tutorial on how to successfully dispose of Greywater and Blackwater from a campervan. You can also watch this video to learn how to set up your campervan just before camping begins. Run a double check on the spot you wish to park to ensure that you are allowed. Dispose of rubbish and toilet waste appropriately. Avoid free camping on private properties or land. Make use of public toilets if you do not have such facilities in your campervan. Preparing your camp gear or actually camping in a forbidden place. Damaging the ground or facilities during your freedom camping. Being stubborn when told to leave a particular camping area. Dumping waste/rubbish to natural waterways or land. Undertaking freedom camping activities in a campervan without a toilet in a spot that’s meant for certified fully self-contained campervans. Being convicted of illegality towards a law enforcement officer attracts a fine that is up to $5,000. Also, you can be slapped a court fine that’s up to $10,000 for dumping major waste — for instance, a campervan that discards its sewage tank on land or other inappropriate places. If you’re fined for freedom camping, you will be sent instructions on the preferred method for payment. But if you fail to pay up, you’ll receive another notice to make the payment, along with an extra cost which has to be paid in 28 days. If you still refuse to make the necessary payment, you may have to go to court. Custom Officers stationed at the airport may not allow you to leave New Zealand unless you make your outstanding payments for fines. A viable alternative to free camping for campervan trips is Holiday Parks. Holiday Parks are usually located in the most scenic and beautiful locations across New Zealand. Check out the Holiday Parks NZ website and the free Holiday Parks App for useful information on the different parks throughout NZ’s regions, where to refuel, access toilets, dump stations and how to locate i-Site agents that seek to present tourists with valuable information on how to make the most of their NZ tour. New Zealand is a new or established camper’s dreamland. Due to our country’s camping popularity, the campervan rental business is thriving. However, before you decide to rent or purchase a campervan, you have to consider some factors. First to consider will be the length of time you will be staying in New Zealand. If you will be there for a short time, renting is the best option for you. A longer stay, though, may call for a purchase, especially if you plan to take a lot of camping trips. You can even make a small gain by selling the campervan at the end of your trip. With these directions, taking your first camping trip should not be as difficult. Remember, if you choose to practice freedom camping, always have the environment in mind; minimize the damage you leave behind. Also, a self-contained campervan, with or without certification, is just as advantageous to you as it is to the environment.